This image is pretty inconclusive, but rest assured, the druid to the left is Dean Ambrose. This has been confirmed by many sources, including The Lunatic Fringe himself. Dean had appeared in a number of dark matches for WWE around this time and had made the cut for a couple of televised Velocity shows, jobbing for more established wrestlers. 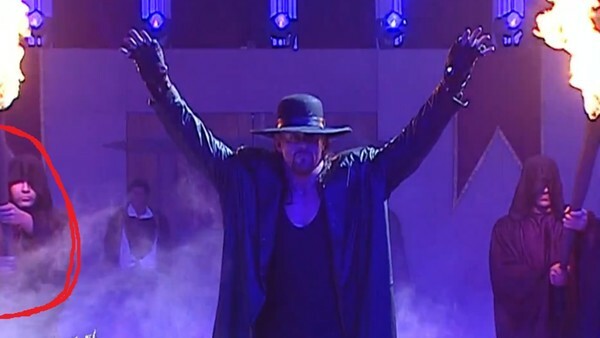 He found himself as one of The Undertaker's men at the 2006 Royal Rumble when Taker returned to confront World Heavyweight Champion Kurt Angle, after the Olympic gold medalist had successfully defended his belt against Mark Henry. Ambrose left the company soon after to appear for numerous independent promotions before returning to WWE's FCW developmental territory in 2011. He would of course then step up to the main roster as part of The Shield in late 2012.